In this tutorial we describe a simple way to install and configure tomcat in order to be able to run OWGIS or install a map server like Geoserver or ncWMS. Java JDK is needed. and try it at the following link with the user you created: http://localhost:8080/manager/html, you should see the Tomcat manager. Now, in order to be able to use the streamlines functionality Tomcat should have to have CORS enabled. 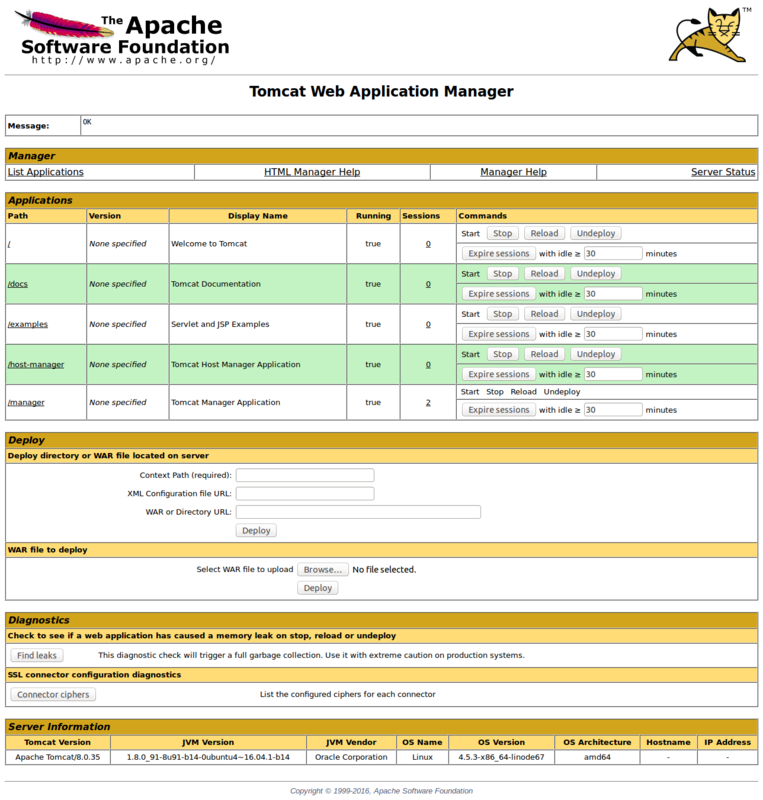 Tomcat includes support for CORS (starting from Tomcat version 7.0.41). To enable CORS support we have to use CORS Filter. If changes were made while the Tomcat server was running, you should restart Tomcat. Copyright © 2018 - 2019 OWGIS License.